In my studio: Riddersholm Forever! This is a very tired Jenny with a short post for y'all. 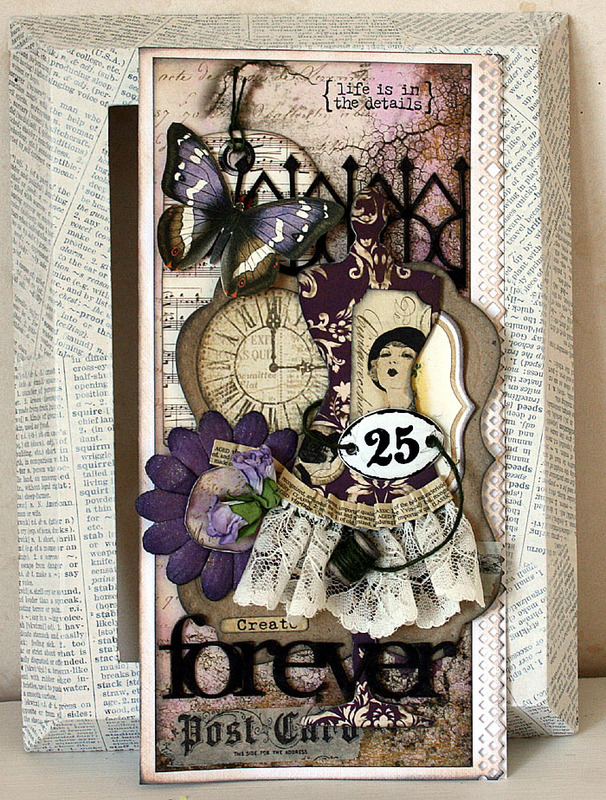 I made this card a couple of weeks ago, with papers from Riddersholm Design, and a few odds and ends I had lying around in my stash. I love this release, Chantilly Dawn. So, that's it. Very short, like I said :) It's way past bedtime, and I have a busy day at work tomorrow, with a lot of things to think about, and a couple of worries that keep bugging me and need sorting out. So, off to bed I go!